There are two things in life that are certain, goes the saying – death and taxes. 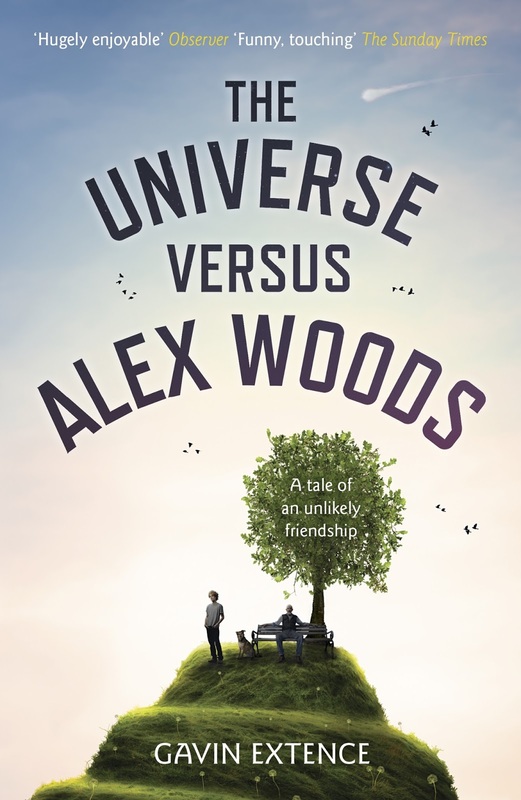 While there’s not much of the latter in Gavin Extence’s excellent debut novel The Universe Versus Alex Woods, there’s certainly plenty of the former. That’s not to say that Universe is a morbid book, or even a sad one (most of the time). In fact, for a book about death, it’s full of life and joy and love. Seventeen-year-old Alex Woods is stopped at the Port of Dover. In the car next to him is a stash of cannabis and an urn of ashes. As Alex’s story unravels, we get to know a boy whose life has been filled with the ordinary and the extraordinary, and with an unlikely friendship with the Kurt Vonnegut-loving pensioner down the road from him – Issac Peterson. Told in the first person, this is a novel in which we get to know everything the forthright protagonist thinks, and he thinks a lot. Cerebral and precocious, Alex should be annoying. But he’s not. He’s honest and loveable and right in so many ways – the universe is the thing that’s wrong. Alex explains to the reader about the very weird thing that happened to him when he was 10 (dealing with death one) through to the diagnosis of his epilepsy (dealing with death two) to how the ashes on the seat in the car got on the seat in the car (dealing with death three) through to his questioning by Chief Inspector Hearse (come on, this one’s obvious). And as he does we get to know a boy who turns into a young man who is driven by friendship and love and the desire to do good, and who is brave (what other 17-year-old could do what he did?) and kind and wise beyond his years. In some ways Mr Peterson is Alex’s opposite – he’s cynical and angry and doesn’t care much about day-to-day life (although he is a pacifist and active Amnesty International supporter). Until Alex makes him care. In any other story the wise old man would impart life experience on the young upstart – in Universe the roles are reversed and it’s Mr Peterson who learns to live from Alex. Aside from that role reversal, the thing I loved most about Mr Peterson was that he accepted Alex for who he was, and never tried to change him. Universe has a great supporting cast, including Alex’s Tarot-card reading clairvoyant mother (who’s actually pretty cool), Dr Weir and Dr Enderby (Alex’s friend and his doctor respectively), and even the school bullies who unwittingly help cement Alex and Mr Peterson’s friendship. Alex’s world is a world full of people – we rarely see him talk much about surroundings (until Switzerland) without talking about the people in them extensively. Perhaps what I loved most about Universe was that, even though it explored a divisive issue around death, it was primarily, in my mind, a book about people, and about friendship. When was the last time you read a great book that was just about friendship? It’s been a long time for me, and I’m glad this was the book to bring me back to that type of characterisation. Despite its sad parts, Universe was uplifting because of the central relationship – a friendship of the kind that few of us are lucky to experience in a lifetime, and that Alex did in his 17 years.